Our deep cleansing Glycolic Cleanser uses the exfoliating benefits of Glycolic Acid to break down dulling build up, helping to soften and brighten the skin. 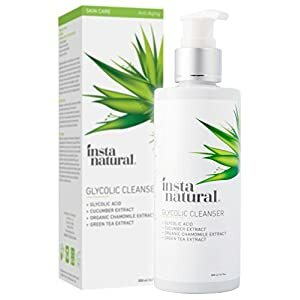 Infused with natural calming extracts and collagen supporting Arginine, this cleanser helps reduce the appearance of pores, signs of aging and discoloration. 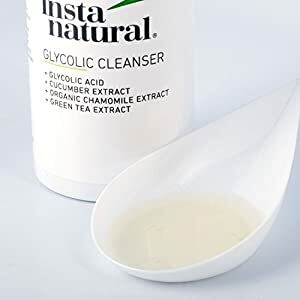 Glycolic Acid works to remove pore-clogging skin cells that can cause skin to break out while Arginine supports the production of collagen. The exfoliating ingredients increase cell turnover, helping to slough away dulling skin cells and reduce the appearance of fine lines and discoloration. 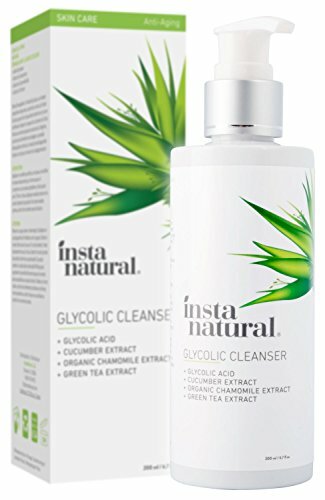 This gentle cleanser is perfect for all skin types, designed to give you skin that feels cleaner without drying it out, you can start to restore your complexion to its amazing and natural beauty. Apply with a cotton ball to remove makeup and impurities. 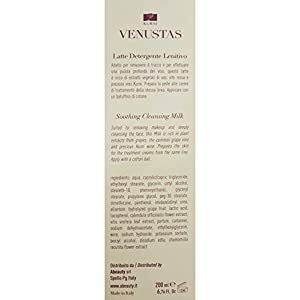 Suited to removing makeup and deeply cleansing the face, this milk is rich in plant extracts from grapes, the common grape vine and the precious Kurni wine. Prepares the skin for the treatment creams of the same line. Apply with a cotton ball.